Hi all! 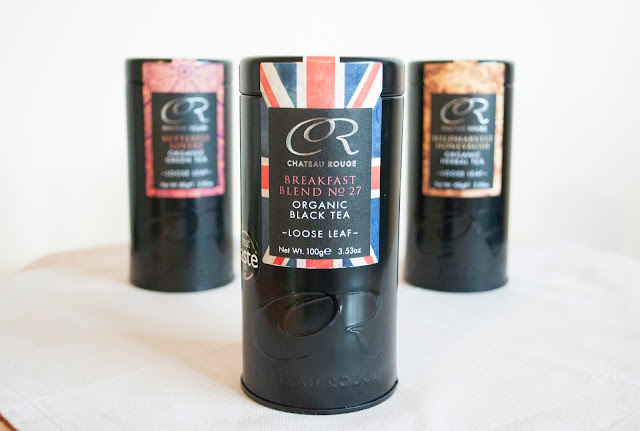 As you may remember i'm reviewing a trio of teas by Chateau Rouge and the last of this installment is their English Breakfast Blend No.27. I apologise that this post has taken a while for me to publish, but since this is an English Breakfast tea and English people like to talk about the weather, I don't mind saying that i've been distracted with summer and the summer heat! Actually, i'm not really allowed to say this, but it actually got a bit too hot for me, especially for hot tea! 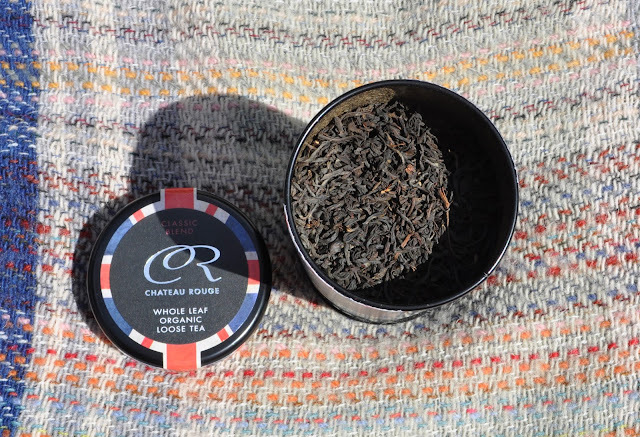 A bit cooler this week, so here we go..
Chateau Rouge describe this tea as "a traditional English Breakfast Tea that is smooth, full-bodied and exceptionally refreshing". I quite like the No.27 name too, very Chanel No.5 don't you think? This is a 100% organic loose leaf black tea, from a blend of single estates in Assam, Sri Lanka and Rwanda (Rwanda as opposed to Kenya, which a lot of brands use). They say not to infuse too long on the first go and this is because it can go a touch bitter this way. I tried mine with milk, which makes a change for me, but it was suggested that way on the signature black tin. 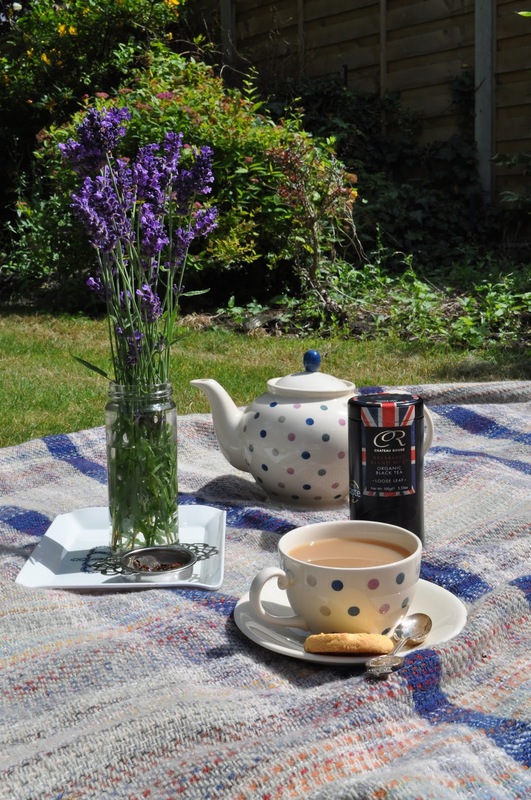 I enjoyed this tea and found it a gently malty, zesty and refreshing, which is nice in summer. Chateau Rouge may describe it as full-bodied but I didn't find overly rich like some breakfast teas and I think it was just as nice with a biscuit or cake later on as it would be at breakfast-time with marmite on toast. Chateau Rouge received a 2015 'Great Taste Award' for this tea and I can see why. The 100g tin as you see displayed is priced at £8.50 at the time of publishing this post. There's also biodegradable tea bags for £7.50 if you prefer the convenience.